Gary got in touch with us this AM looking for a iPad Repair service in Detroit that could fix his broken iPad screen. Nearly two weeks ago his young daughter was playing around in the family room with his beloved iPad sitting on the couch. As luck would have it, his daughter jumped on the couch and knocked the iPad to the ground. The result you can see in the picture – a cracked iPad screen in Detroit. No fun to say the least! Gary loves his daughter, but also loves his iPad. It’s how he reads the news, and emails, and checks his stocks. Now it has become something that cuts his finger tips and makes him cry at the sight of it. After two weeks for this devastation, Gary decided to go look for a iPad repair service in Detroit that could fix his broken iPad screen. A few clicks of the mouse and punching of the keys, Gary stumbled upon a wonderful company called iRepairMotown. He rang us up and was delighted that he could set up an appointment later in the afternoon to get the cracked screen replaced. How awesome he thought! We met Gary at his office in downtown Detroit and replaced the screen in one of the empty offices adjacent to his. We needed to bend some of the corners back and clean up the LCD screen quite a bit, but after a short while we had Gary’s iPad screen looking like new again. He was ecstatic! What an amazing service! 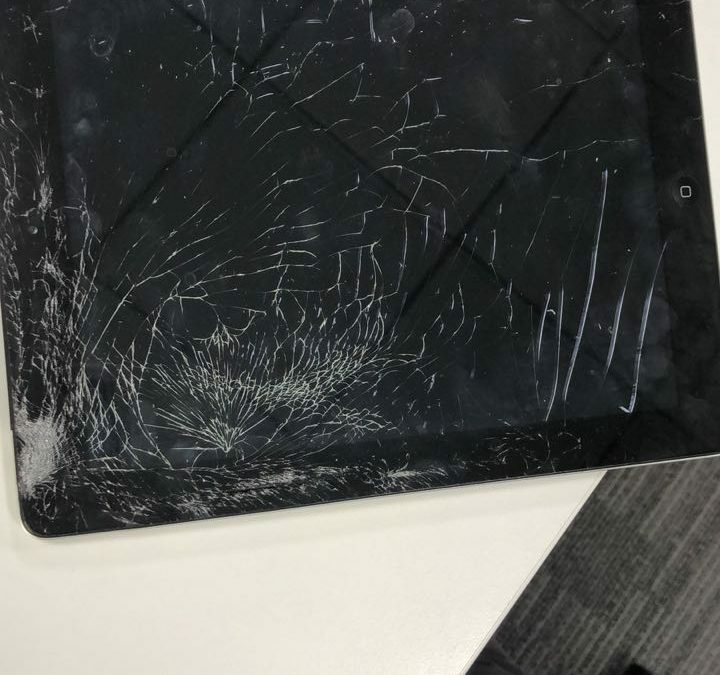 We were happy to help Gary out with his broken iPad screen in Detroit and we’re keeping an ear out for any others out there that have the same problem. Get in touch with us today and we’ll happily set up an appointment with you to fix your Apple devices!